I’ve encountered a few psychic mediums who were really, truly gifted and that was incredible. Two readings in particular hit home for me, I won’t go into crazy details, except to say that they both nailed future events that neither of us could have seen coming and they validated some choices I was about to make that helped me tremendously. I also believe they have the ability to connect to “the other side,” and I have experienced that too on a couple occasions, but I won’t bore or freak you out with that story, which is really only meaningful to me anyway. Earlier this summer, in a wacky “coincidence,” I was talking with my aunt about the psychic medium John Edward. You may remember he had a TV show called Crossing Over a while back, that I LOVED. I honestly had no idea that she too loved him, bought his books and watched his show… I guess it just never came up. We both said we wanted to see him in person one day if he ever came to NYC (where I live) or Connecticut (where she lives). A day or two later I decided to google him–everyone has a website today, so at the very least I could see if he has a newsletter or something. What I found was even better… He was in the middle of a tour…and he was about two weeks away from coming to Stamford, Connecticut. Holy Amazeballs! I emailed my aunt right away and she was game… We were going. The night of the event came and we witnessed some amazing things, which again, I will not bore you with since it’s hard to explain and capture how meaningful it truly is in this format. I will say, if you believe in this stuff as I do, you may want to check out his website JohnEdward.net and his weekly web series Evolve. My belief in psychic mediums also prompted me to have a tarot card reading party a few years back, and I’ve been dying to do it again. I invited about twelve friends (mostly women) who I knew would appreciate the experience. The reader was a woman I knew from my sons’ school and the reading was one of the best I’ve ever had. I sent up the living room as the “social” area for food and chatting. My bedroom was the area where each person went one by one for their reading in privacy. 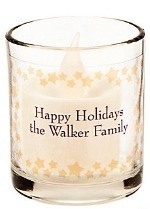 I wanted to keep with a celestial theme so I had these votives personalized (Oriental Trading, $12.50/dozen pictured above) with the event name and date scattered around tables and had a few extra made as keepsakes for guests to take home. I served wine, Proseco and iced tea; and set out scones and tea sandwiches on a tiered tray, which is probably my favorite party accessory EVER. 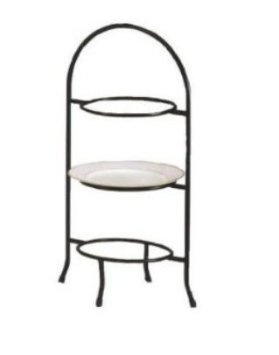 This one (Creative Home Iron Works 3 Tier Dessert Plate Rack, $12.00, Amazon, pictured above) is similar to the one I have and is very affordable. Ya, I think I need to do this again…. I came here cause I was googling my favorite psychic phone company iheartpsychics.com. 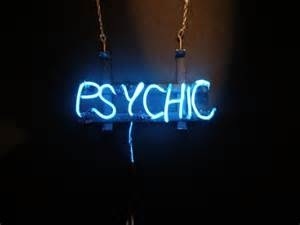 When I was going through a hard time I came across a psychic there named Aaron, and he really helped me out.